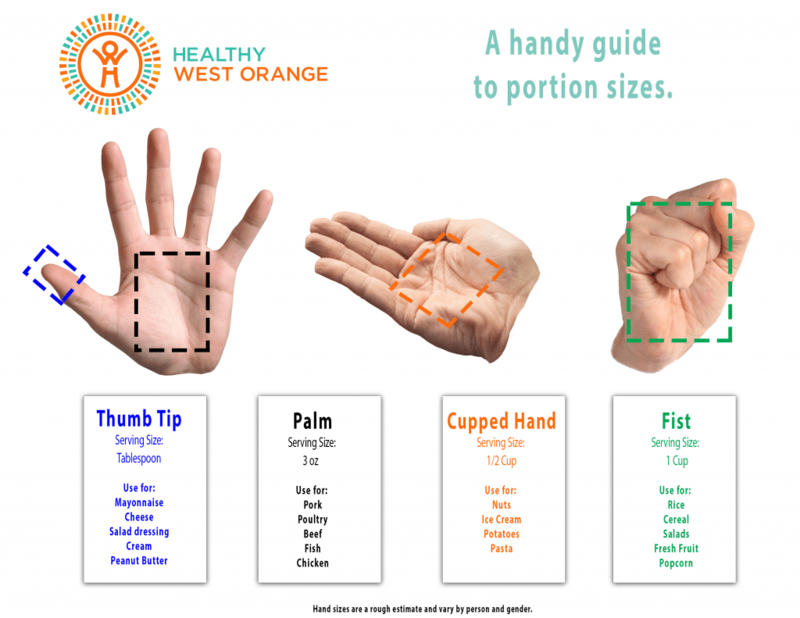 Metric measurements like cups and teaspoons are a great way to control your portion sizes. But what do you do when you’re eating out or don’t have a measuring cup handy? Your hand is an imperfect but useful guide when you have to “eyeball” the amount on your plate. Here are some guidelines.